The Children’s Spoon Set 'mint - blueberry' is made from sustainable material bamboo and includes a certain amount of polypropylene. 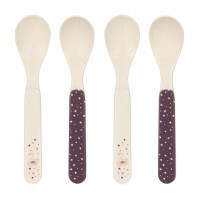 The spoons are suitable from 6 months and up and are dishwasher safe. 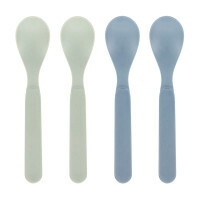 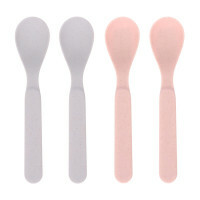 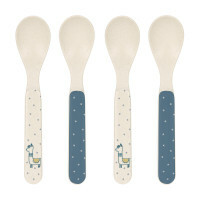 Product information "Spoon Set with Bamboo (4 pc), Mint - Blueberry"